A suspended light fitting in the Flemish or Dutch style. Reproduction. Price includes approx $50 worth of low voltage, long life globes. 60 cm diameter and 60 cm high. 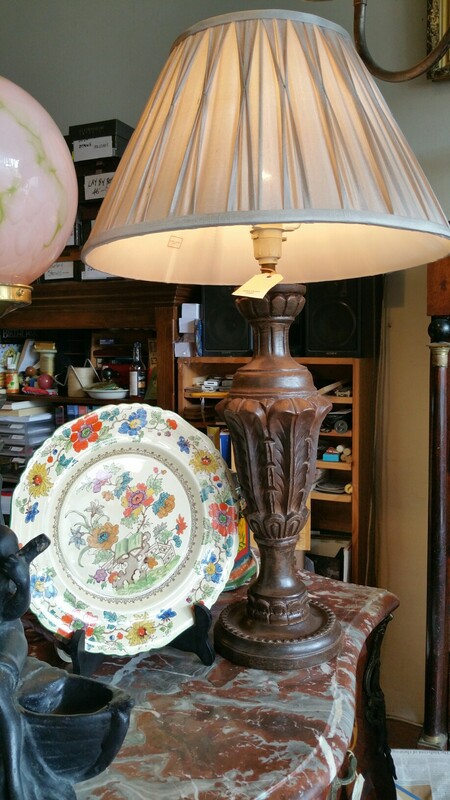 An iron standard lamp with decorative entwined ivy around the shaft. Recently professionally rewired. Price includes the fabric shade photographed here. Probably from the 1950s.